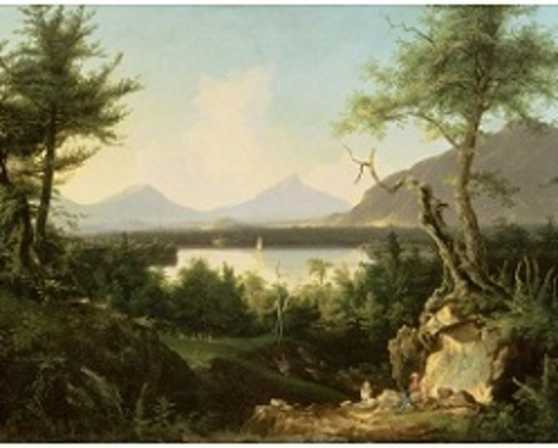 The Albany Institute holds a large and important collection of nineteenth-century American landscape paintings, works often associated with the term "Hudson River School." They number more than ninety paintings and range in dimension from large wall-sized canvases to small business card-sized oil sketches on paper. We know from visitors the Hudson River School paintings are among the Institute's most popular collections, and other museums request to borrow them for exhibitions more often than other collections. With such great interest in these works of national significance, the Institute is making them more accessible. In the summer of 2017, the Institute opened a reinstallation of its Hudson River School paintings in the Hearst Gallery on the museum's third floor. For the first time, nearly all ninety paintings from this important collection is on view. 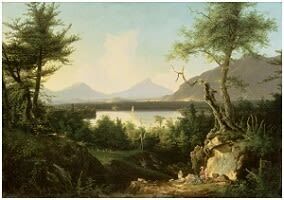 These landscapes, painted by artists like Thomas Cole, Frederic Church, Jasper Cropsey, Asher Durand, and numerous others, capture America's scenic grandeur in all its magnificence from rugged coastal scenery to imposing mountains and rivers.